Trident Mortgage Did It Again... Four (4) Years in a Row! Trident Mortgage Company (a member of Prudential Fox & Roach and Trident family of companies) was recently recognized by the Delaware State Housing Authority (DSHA) as 2012 Top Performing Lender for assisting first time homebuyers with DSHA's affordable homeownership programs. 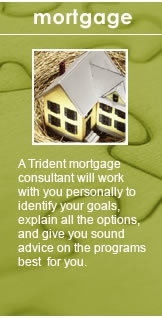 Trident Mortgage Company's Delaware team consist of five (5) professional Mortgage Consultants. I would like to give special mention to Mark Anselmo, a Trident Mortgage Consultant in the Greenville Office. Mark has effectively assisted my clients with DSHA's first time home buyer program. Mark Anselmo is a long-time mortgage professional who has secured financing for a wide range of clients by satisfying their needs through hard work, quick response to any and all questions, and attention to detail. The content provided in this post is presented as a courtesy to be used only for informational purposes. For the latest information, requirements and updates on DSHA's affordable homebuyers programs, please visit DSHA's Homeowenership online. Or, contact a participating mortgage lender/mortgage consultant, like Mark Anselmo from Trident Mortgage, or, contact DSHA at 302.577.5001 (Wilmington), 302.739.4263 (Dover) or toll free at 888-363-8808. And, if you have any real estate question, please feel free to contact me or visit my web site at www.LetitiaStevenson.com (www.recoahhomes.com).